You can’t do without an air conditioner, especially during the summer season. But often, air conditioners sit on the wall looking like an odd piece, interfering with your home’s décor. 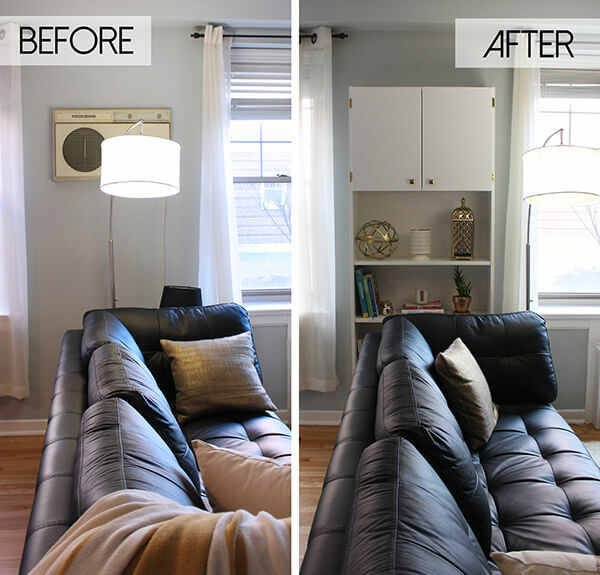 Here are some interesting ideas to hide away the air conditioner and make it look like a part of the décor. 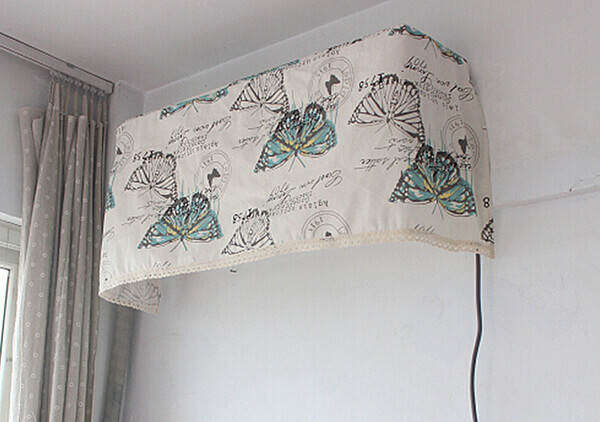 Use a fabric to create a curtain over the wall air conditioner that can be pushed over when the air conditioner is in use. Make sure the colour and texture of the fabric you use complements the overall décor of the room. If there is nothing significant on the wall apart from the air conditioner, you can choose a fabric with big and bold prints to create a focal point. Most wall air conditioners jut out of the wall to some extent, so it can be used as a shelf. Place some colourful flowers on top of the air conditioners to make the room appear brighter. You can also combine some indoor plants and flowers to create a visual retreat. Make sure you don’t use too much water, since leaks (if there’s any) can damage the air conditioner unit. Apart from choosing the right capacity, you also need to choose the right colour when buying an air conditioner. Air conditioners from all leading manufacturers such as Snowdonia are available in a variety of colours and style, so choose one that blends with the room decor. 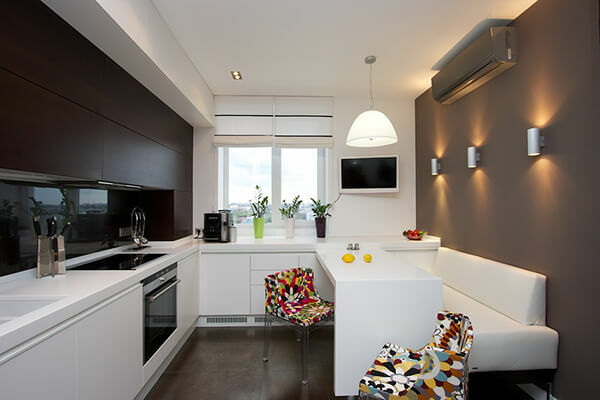 To rev up the interiors, you can use the air conditioner as the centre piece (on the wall) and complement it with designer lamp placed on the side table beside the sofa (placed right beneath the air conditioner unit). You can increase the appeal of your room by creating some wall art around the air conditioner unit. If the wire connecting the air conditioner to the socket is large enough, create some abstract art with it. You can also try your hand at DIY wall art using bright and bold colours. Geometric designs at one corner of the air conditioner unit might look great. 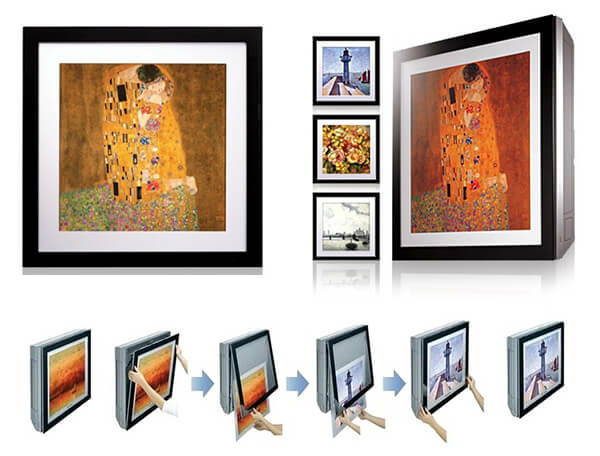 Some air conditioner even comes with a frame (such as LG artcool) which allows you to put on your own artwork or photography. Installing a frame around the wall air conditioner might work well. Choose a frame that complements the decor. Cover the centre of the frame with a hinged door/screen that can be opened when the air conditioner is running. Create some mosaic artwork or cover it with some fabric to make it look like a large framed artwork. Below is a great example of build a shelf around the AC. There is no way you can get rid of the wall air conditioner, but you can certainly try these interesting ways to decorate it and make it part of your home’s décor.